Does an octopus have 8 tentacles? Test your fact and opinion identification skills with this undersea adventure. Color in the picture to make a beautiful octopus! 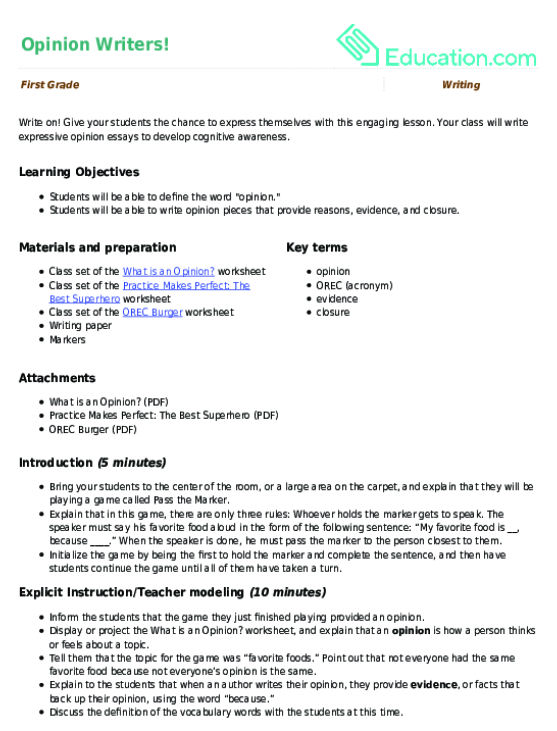 Your class will write expressive opinion essays to develop cognitive awareness. Before students write opinion pieces, they need to understand the difference between facts and opinions. Practice writing opinions with this fun 1st grade opinion worksheet! Write an opinion piece about what a perfect school would be like.